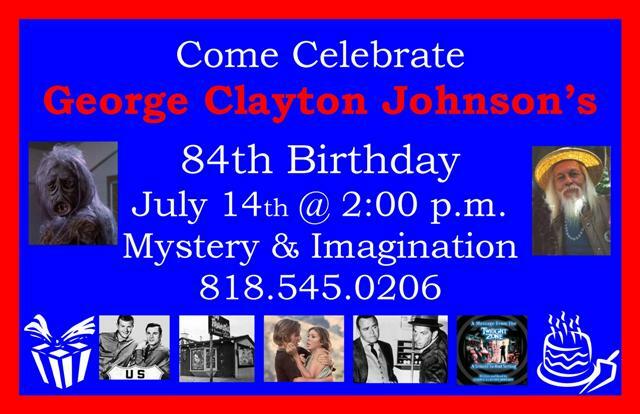 George Clayton Johnson celebrates his 84th birthday on July 14 at Mystery & Imagination Bookshop in Glendale. Eighty-four – what could be more Orwellian? Zip Code is 50 years and one day old and I got it wrong: The bookshops zip code is 91203.
p.s. There Will Be Cake!! !